HBO debuted the first Westworld teaser to coincide with the season 2 finale of True Detective. The brief tease for the series-length remake of Michael Crichton’s 1973 sci-fi film is certainly big, eye-catching and intriguing. Yes, it doesn’t give away much but we definitely get glimpses of the scale this series will try to take on. It’s an intriguing and incredibly lush production with a solid ensemble cast. Things are looking good. Creator, Jonathan Nolan has said that in addition to cinematic and literary influences, experiential entertainment also played a part in shaping the series. Citing Red Dead Redemption and Bioshock as well as the interactive theater piece Sleep No More as properties that had an influence on the show’s overall conception. 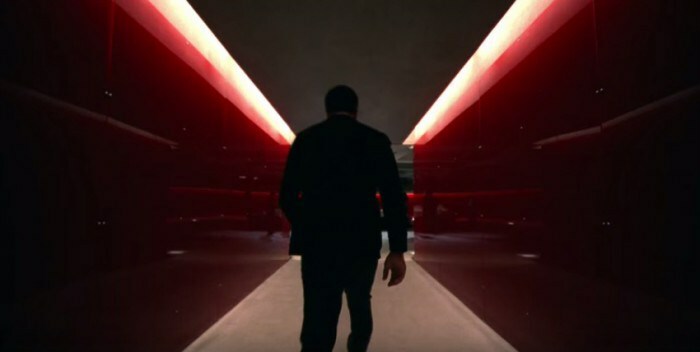 The trailer’s television premiere comes a few weeks after it was exhibited at SDCC, during Person of Interest panel HBO dropped many new images (most of which showed up in the teaser). More recently, during the Television Critics Association’s summer press tour, HBO impressed attendees with an extended trailer for the series. Safe to say this is just the first of many teases to come. Westworld‘s incredible ensemble includes Anthony Hopkins, Ed Harris, Evan Rachel Wood, James Marsden, Thandie Newton, Jeffrey Wright, Sidse Babett Knudsen, Rodrigo Santoro, Shannon Woodward, Ingrid Bolsø Berdal, Ben Barnes, Jimmi Simpson, Clifton Collins, Jr., Simon Quarterman and Angela Sarafyan. Behind the camera you have Jonathan Nolan acting as the executive producer/writer/director with executive producer/writer, Lisa Joy and executive producers, J.J. Abrams, and the late Jerry Weintraub. The series, originally slated to debut in 2015, won’t premiere until the first half of 2016.